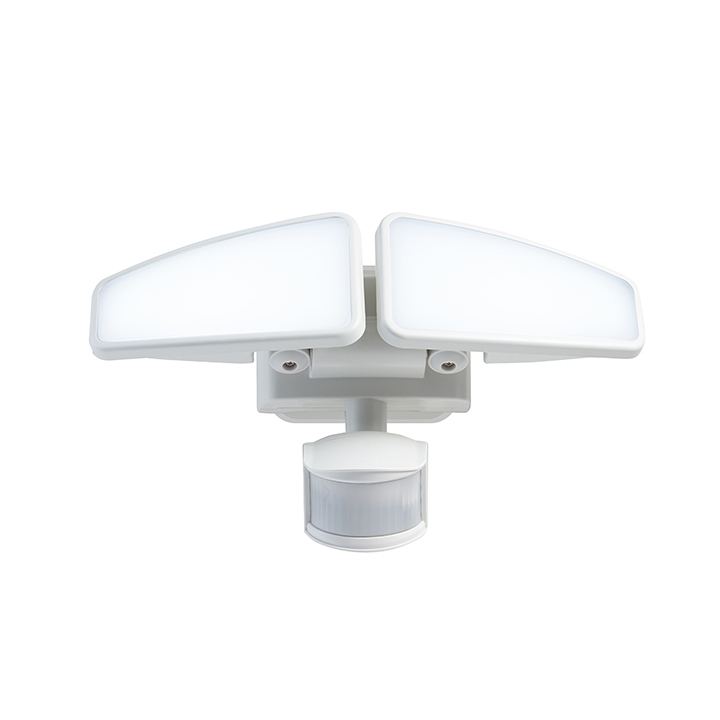 Sunforce Motion Activated Security Light - SunForce Products Inc.
Add an extra layer of security with the newly designed Sunforce Motion Activated Security Light. 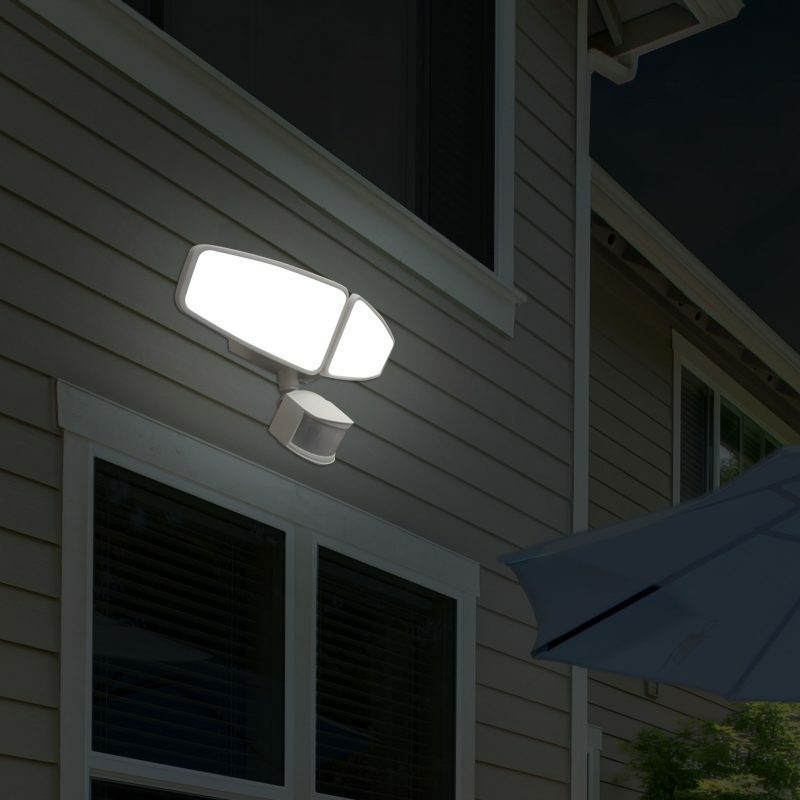 This light has a unique patent pending mounting bracket for safe and easy installation. 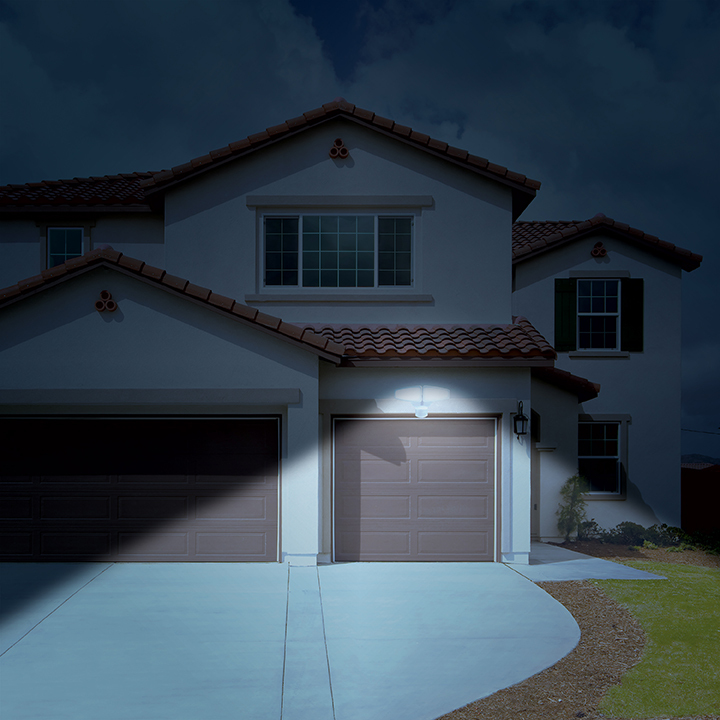 The dual brightness feature allows for the option of dusk-to-dawn accent lighting, as well as motion-activated security lighting. 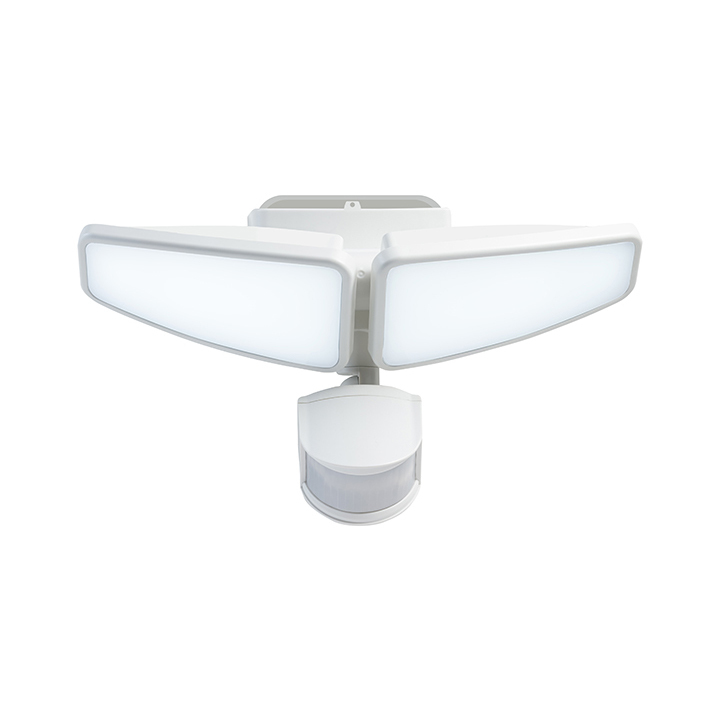 In addition, the Sunforce Motion Activated Security Light features adjustable lamp heads for maximum lighting coverage and frosted lenses to allow even illumination for whenever, wherever you need it! Ideal for all locations: entryways, garages, pathways, sheds, and much more! Check power is being sent to your chosen junction box. It is common to forget to reactivate the breaker or fuse box after installation. If there is power to the junction box, the issue may be with the internal wiring. Turn off the source of power to the light, remove the light and check the wiring using the installation instructions found in the manual. Why does the light turn on during the day? Ensure the light is not set to TEST. Check also that the light is not in a shaded area which can cause the light to activate. Why does the light activate and remain on? Turn off the power and remove the light. Check the wiring using the installation instructions found in the manual. 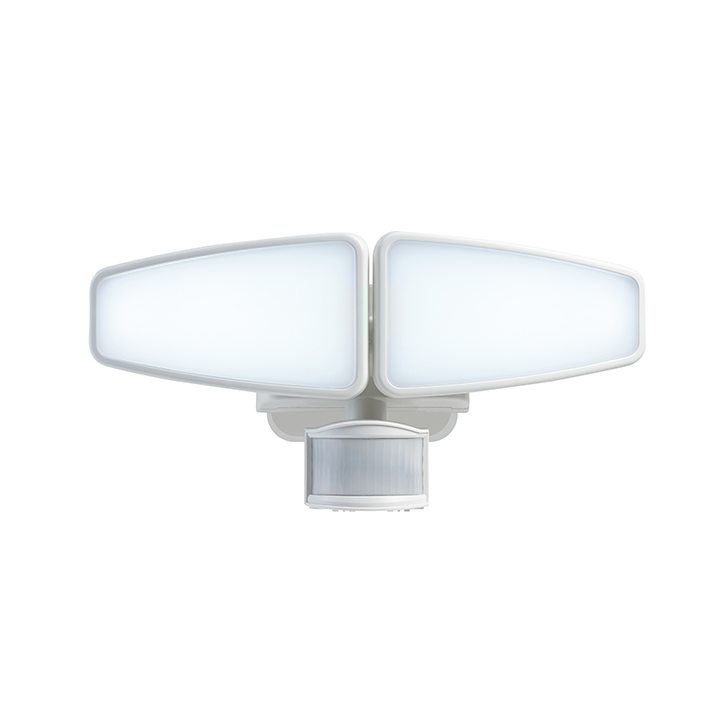 Usually, a motion light that remains on has an issue with the internal wiring. Shading may also be an issue if the DUSK-DAWN option is selected. Why does the light continually activate? Check the detection zone, as object (e.g. tree branches and/or traffic) can activate the light. 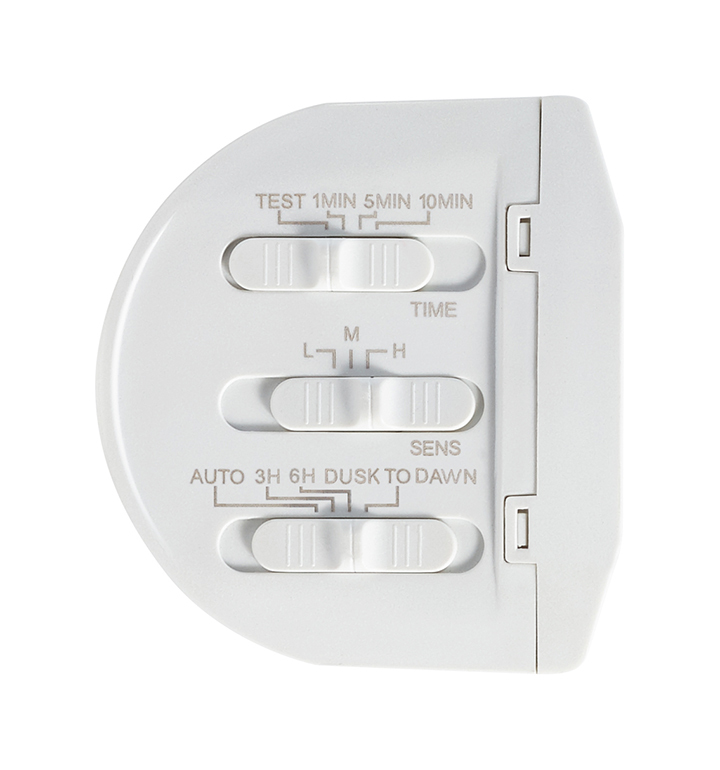 Reorientate the motion sensor to offset any unwanted causes of motion activation. This motion light is not compatible with dimmer switched can cause the light to malfunction including strobing of the lights. 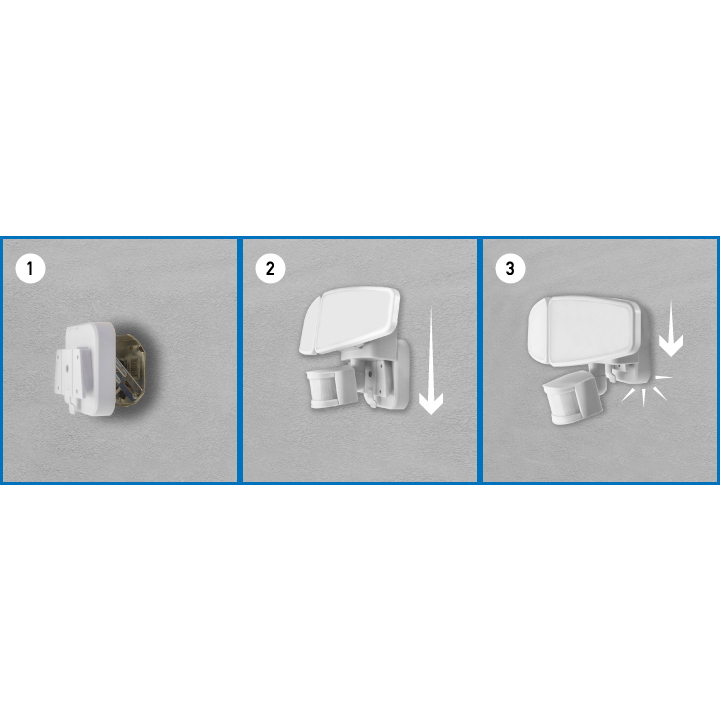 Yes, the Sunforce Motion Activated Security Light comes with a 1-year limited warranty.